By far the best fish dish I’ve made so far! This amazing sauce was used on pasta but thought it would be amazing on fish. I like anything lemony so combining it with fresh mint just took it to a whole new level! Sprinkle the fish with salt and pepper and drizzle with olive oil. Bake at 400 degrees for approximately 20 minutes until the fish is cooked through. In a small saucepan, bring the olive oil, lemon juice, lemon zest, and garlic to a simmer over medium-low heat. Cook for 5 minutes. Remove the pan from the heat and stir in the mint and parsley. 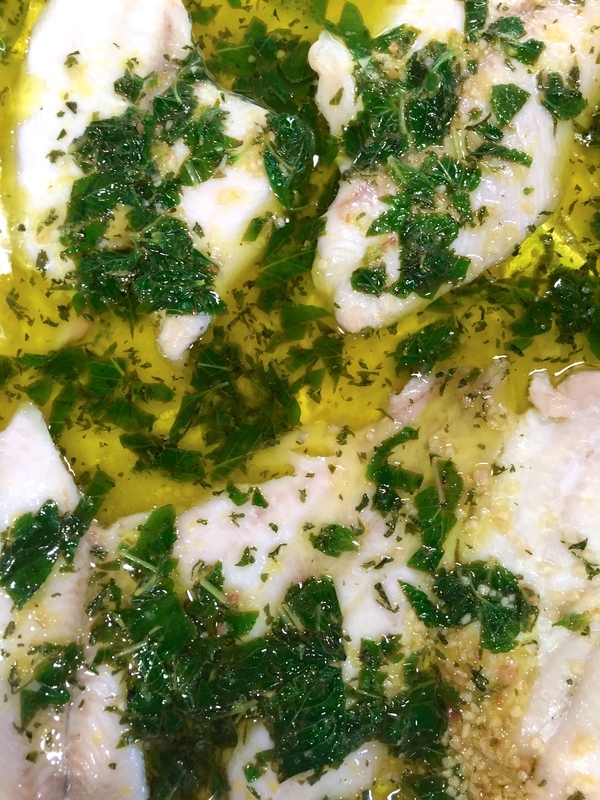 Once fish is done cooking, take it out of the oven, pour the sauce over the fish and let it marinate in the sauce for 2-3 minutes before serving. 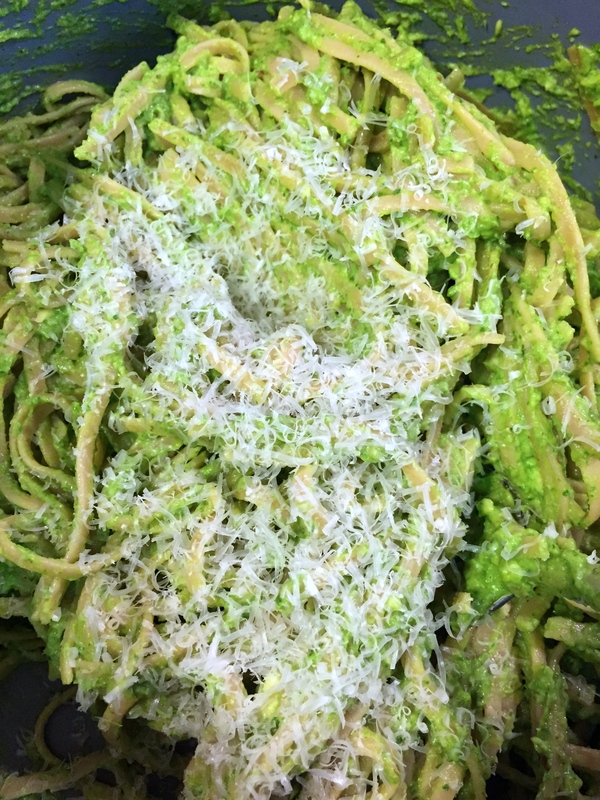 My love for avocado continues with this avocado pesto combination! Adding avocado to pasta is my all-time favorite thing. Adding pesto to that mix just makes this dish heavenly! Cook’s Note: To toast the almonds, arrange in a single layer on a baking sheet. Bake in a preheated 350 degrees F oven for 6 to 8 minutes until lightly toasted. Cool completely before using.